I'm fairly certain that my high school changing rooms are responsible for depleting at least 30% of the ozone layer. After every lesson almost every girl would reach for a can of Impulse (the Charlie days just missed us) and saturate the air around her with orchid, musk, pear, and vanilla. Then she and her friends would cough and blink, and repeat the cycle next lesson. I was never into aerosols. Even if they hadn't smelled so claggy and cloying, the taste of them when the cloud caught your tongue was vile enough to deter me for life! My own sultry scent was a Natural Collection vanilla body spray, which, as my dad quite rightly decreed, smelled like elderly ladies. 14 year old me naturally took no notice, and carried on dousing herself in it, because Mizz magazine insisted that boys were most attracted to vanilla. Eye roll. My PE lessons are long gone, thank goodness, but body sprays have matured and I've welcomed them back with open arms. Scent is an expression of us, and the body sprays I reach for bridge the gap between smelling like a straight up soft drink and being veiled in woods and amber. As much as I love a proper EDP for night or occasions, body sprays are what I reach for on a daily basis. When my eyes open but brain is still asleep, I can count on Body Fantasies' Pink Grapefuit* for a sparkling citrus wake up call that instantly boosts my mood. Some grapefruit scents are reminiscent of kitchen cleaner, but this is a lighter, brighter note. It still lasts really well, though, as does the Body Fantasies Pink Vanilla Kiss* scent. 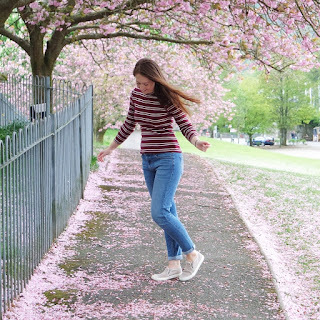 The vanilla is certainly prominent, but unlike my high school favourite, this has a kick of fresh raspberry to cut through the sweetness and make it much more wearable. It's fun without being silly. This is my favourite body spray, and despite using almost daily for 8 months, you can see it's still almost full! 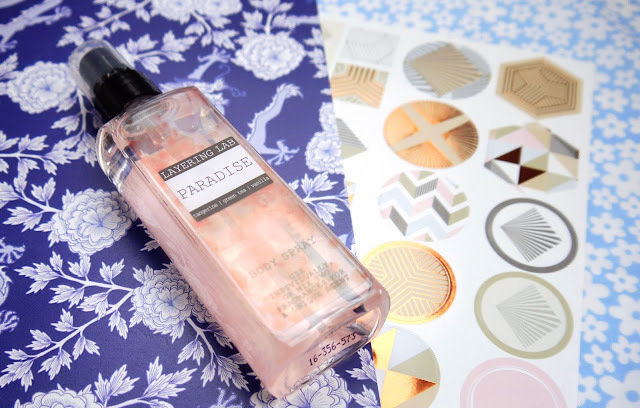 When I want a fresher scent I reach for Layering Lab's Paradise*. It's a very clean scent, almost like a clothes detergent, but that's fine by me as it means I smell like freshly washed bedding! The three main scents are tangerine, vanilla, and green tea, with the latter wearing strongest on me and the other two balancing perfectly beneath it. As the name suggests, this is part of a range that encourages you to layer fragrances until you create a perfectly customised cocktail, but don't just save it for your skin- I think Paradise would make a lovely room spray! As with perfume I spritz the sprays in front of me then walk into the mist to ensure an even coat over my clothes and hair, and find that it lasts well this way, but I love that the plastic packaging allows me to chuck it in my bag for touch ups. I'm also pretty fond of the price tag- at the time of writing these sprays are all under £3, meaning I can collect and layer to my heart's content! What's your favourite body spray? *items were gifted to me in CarnLIVal goody bags. How kind!